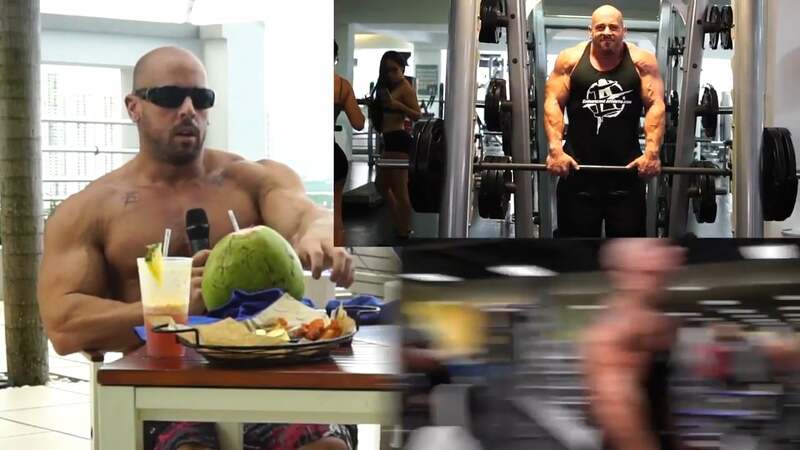 Fast carbs vs slow carbs bodybuilding tradition says that we want to eat slow carbs. Want to eat things like sweet potatoes, oatmeal, things that digest a little bit slower, so that it doesn't overwhelm our system with glucose and sugar causing insulin spike. And then therefore, a crash in our blood sugar. Afterwards, usually, bodybuilding tradition is to maintain steady influx of carbohydrates to build muscle. Without spiking insulin too much, too frequently so let's get coach trevor's opinion because i see coach trevor eating candy all the time he almost never eat slow carbohydrates. He'll order a meal and he won't touch anything that slow carbohydrates. Instead, after the meal, he'll go have a dessert that's packed full of sugar. Now, just because coach trevor does, this doesn't mean it's the best way for bodybuilding, but there's got to be something to it because i've been traveling with trevor for a year and a half. I noticed that very consistently he avoids slow carbs and he eats fast carbs. 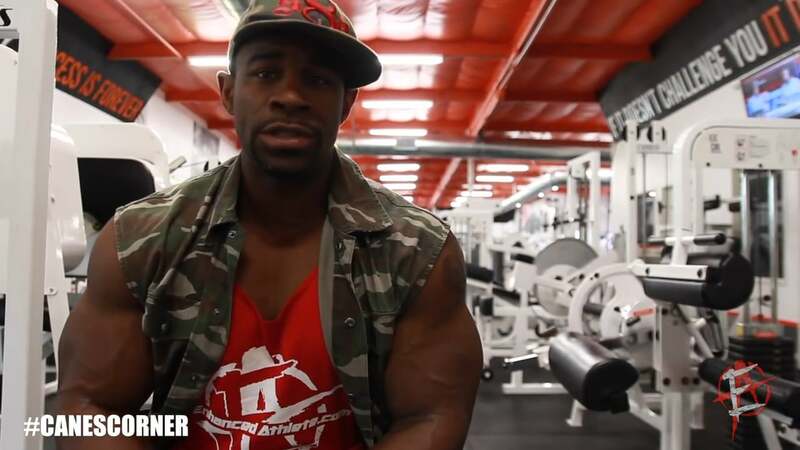 Do you do this because of any of the bodybuilding benefits ? Or does it benefit a bodybuilder, whether they're huge bodybuilder or small bodybuilder, natural or on steroids ? Let's kind of talk about each situation ? I do it for a couple reasons one is bad habit from bodybuilding too is because i don't really care anymore. I've made it a bad habit because i like it and i'm not a bodybuilder, i enjoy it. I mean the health negatives from that vs artificial sweeteners and and low fat, non fat products i would rather take the sugar, because it's one it's healthier two you can actually do something with what's inside of it rather than artificial sweetener three when we get to the gym, i'm always pumped i always like get in the gym with a pump i don't really like get outside of it, but once we get in there, i'm carved up understand that coach drivers only twenty six years old, so he has a much faster metabolism than most of us. I don't know that i could get away with the same thing. How do you not spill over into fat when you're eating sugar ? I dio and i have to watch it sometimes one of the things i always do give or take sometimes traveling, but i always tried to have my first meal with some type of complex carbohydrate since i was twelve years old, eleven years old, i've been doing that, and the reason is i found, if you can hit that meal and get those complex carbohydrates knows not really necessarily sugar that's what will spark the metabolism for the rest of the day ? And i found that for me, something like oatmeal, not granola, but oatmeal or something. Is such with a whites and some whole eggs, for whatever reason kept my hunger on track and my metabolism, no matter what i did, i was able to control it, so i would always do that. But i do still tend to spill over sometimes, and i'll let it go for a week or two before i catch it really care about doing something before he gets on a hand and all i do is just kind of clean up the fat source it maybe not by as much actual candies. I eat a ton of candy so ill maybe not buy candy for a few days until the fat goes with it. That was why coach trevor chooses fast carbs over slowed carbs, but how about your athletes that you coach ? Do you let them eat fast ? Carbs is the first question, and the second question is, if they do eat fast carbs vs slow carbs, are you worried about them crashing their insulin sensitivity ? There's four scenarios five scenarios and two given example for each is going to be their way also what they're doing, how condition they need to be, but their weight, their condition and then, if we're doing all carbohydrate diets or a mix of fats and carbohydrates together, all these things change him. And what happens is if we do an all carbohydrate diet on a large body builder. The only reason we do complex carbohydrates is for some health benefit, with vitamins and minerals and something with their metabolism. Because, as most people know, when i talk about tricking the metabolism, you could do this with the complex carbohydrates not necessarily the sugar, but the complex carbohydrates you witching either adding him or take him out, we'll do this with bigger bodybuilders and myself back then and zero, although i would have oatmeal sometimes in the morning, it was almost always ah, protein pancakes with egg whites rather than protein powder. I really only have them do fast, complex carbohydrates and the reason for this. I always talk about not giving your body everything it needs. So it's always wanting it. That's how you can do this carbohydrate diet. So what happens is you keep your glycogen stores between forty two. Ninety percent, and sometimes you can go one hundred forty percent hundred thirty five percent or so from super conversation. But if you keep that number and play with that from anywhere between forty and ninety percent and keep it doing this, it does not matter if insolence president, you're still going to burn body fat, and it goes to show when you take insulin for pre cardio and the reasoning for doing that. 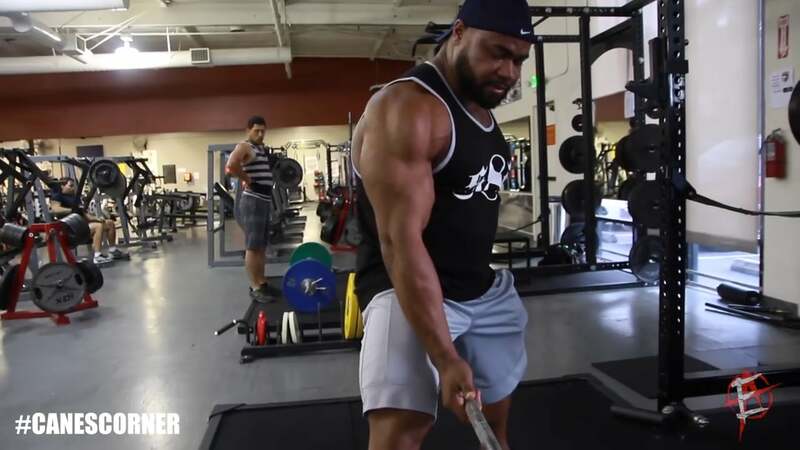 How bodybuilders still come in shape when there's growth hormone things evolved by taking insulin insulin, it will not matter when you're doing this carbohydrate diet now, there might be some people that have pre diabetes have to watch that, but other than that, it doesn't matter. So the things that don't bloat them give them digests, no problems, anything like that. We only do sugar, not sugar, i would say, but white bread's, anything like that, no glue in no problems with, you know, worrying about that kind of stuff for allergies. You get it when you need it, and you're eating so frequently, and you're hungry all the time. Your blood sugar really never crashes if the bodybuilders keeping on track with this diet like he should be about before bed, better to have fast carbohydrates or slow carbohydrates fast carbohydrates so that the sugar loads up into the muscles and or fat cells gets out of the bloodstream faster so that your blood sugar drops so you maybe could get fat burning zone in your sleep and natural growth hormone production if you're not injecting growth hormone for slow carbohydrates, because that way you've got a sustained fuel source for your body to feed on and be anabolic over more amount of hours during the night. It depends on the scenario. Are they trying to lose away ? Are they trying to gain weight and example for each would be what if they train that night or what ? If they trade in the morning ? They train in the morning ? Typically, you don't want any carbs before bad because you wouldn't need them. There would be no reason to give it, so you just keep it out. That fasting period is only the carbohydrates. If you have a long acting approaching like a steak before bed, your body is able to utilize the body fat take advantage regrowth home, but let's say you're on growth hormone, you still don't want those carbohydrates because you want your insulin sensitivity would be better and you want a break. From carbohydrates, one for that and two, because your glycogen stores are probably full by the end of the day, adding more to it, it's only going to spill over, make your insulin sensitivity worse, give it this break, and by morning you still have your glycogen stores, you're completely full, and your insulin sensitivity is basically refreshed by morning for each day, depending on what you've done and you start your day off new if you train, but right before bed, then take advantage of a cz much sugar as you could and i say this because you would want to compensate and store those reserves while you could tow whatever level you're supposed to be doing at that night. And then also, when you're sugar crashes, you were in bed, it puts you to sleep. I don't know if you've ever felt low blood sugar, but you'll get put to sleep and your body will regulate it and you'll wake up just fun if someone is carbohydrate depleted, so post workout or let's say they've carb cycling, and so they had a low carb day. Now they're coming into their high carb day. Does it really matter whether the fast carbs or slow carbs ? If they're depleted, is it all going to go into the muscle ? Or do you think that and it's probably different for different people ? But do you think that by taking in sugar when you're carb depleted your body, khun still only process so much into the muscle cell and you're going to spill over into fat even though you're not glycogen filled in the muscles ? Bodybuilders case it's ? Not like that, especially when drugs are involved in hormones when those air involved i don't want to say never, but it's not really plausible it's not gonna happen in a bodybuilder like it. What with regular people it's not the same. You're in an entire different environment that they've never studied before. No one's ever studied it. No one's ever put two hundred pound bodybuilder with all the hormones that we use and the training and manipulation went diet they've never once done. I mean, show me if you can find it, but it hasn't been done. The other thing is, if you're not dealing with insulin, let's say you're using insulin, it wouldn't really matter as much you would have to eat more. Of the complex carbohydrates, because if you're trying to fill up with complex carbohydrates, the reasoning that it doesn't it won't fill you out as much is because depending on your metabolism and your size, you're burning them at a faster rate than it's really breaking down and it gets to the point. That's how you trick your metabolism one of the little secrets is you feed it's all these complex carbohydrates where your body would still never get enough carbohydrates, but it things that does keeps fat burning mode on because it's, nutrient dance calories and that's what ends up happening ? So my theory about having fast carbohydrates in order to get it loaded in the muscle and then get into a fat burning state is not necessarily accurate because you're saying you could do it with slow carbohydrates, giving your body just less than what it needs. Keep your metabolism grinding along and faster at that point, it's kind of hard to give it what it needs because at once, carbohydrates and at the same time, it's burning carbohydrates. But if it doesn't have enough it's burning the fat depending on the field source and then these complex carbohydrates takes so long to break down, take so much calories to break down. All of these things are happening at once, and then your metabolism is trying to get these in there. So then that kick fires and now you just have a entire concoction for not one of those calories really are being absorbed depends how big the bodybuilder is. It just means you have to take more. And the reason why i goto more white based carbohydrates is because you will start to see it's going to take two hundred, two hundred fifty graham complex carbohydrates a meal just to start filling out. By the end of the day, you do two hundred fifty grams of carbohydrates and meal for six meals complex, especially with the fiber and glue and and all these sayings watch happens to the waste and digestion issues understand where coach trevor's mindset is on some of these questions. He's thinking about a bodybuilder, someone who's got a lot of muscle already he's saying, basically that if you have to have a ton of calories, you can't even fit all the carbs in unless you add in fast carbohydrates and he's talking about. Eating a good amount of slow carbohydrates to keep the metabolism going along fast, because you're giving your body enough to burn and keep the metabolism going. But you're not giving it enough to satisfy your total caloric requirements, so your body still has to pull from fat to bern to see. That wouldn't be the case for someone who doesn't already have appreciable amount of muscle or a very fast metabolism. So you have to understand how this information applies to you and how much muscle you have. And we're gonna keep doing videos like this so that hopefully you get the full picture so you can figure out how to apply it. Be swell in school, my friends of freedom, pioneers of human evolution. Right ?